ONGOING EVALUATION OF THE NUTRITION PROGRAM. The following chart indicates the degree of weight, growth, and nutrition parameters not met by each child. Some children failed to meet one, two and tree parameters. All 22 children were given Zinc and macro nutrition packages. Also, a Nutritionist will meet with the parents of the 22 children on July 27, 2017 in order to instruct them on the importance of good eating and hygiene habits. As can be seen in the chart above, most of the 22 children found in need of extra care had moderate low weight and moderate growth retardation. Medical evaluators suggested that we provide children with extra Zinc and possibly extra protein. We will wait to hear the final suggestion of the nutritionist. 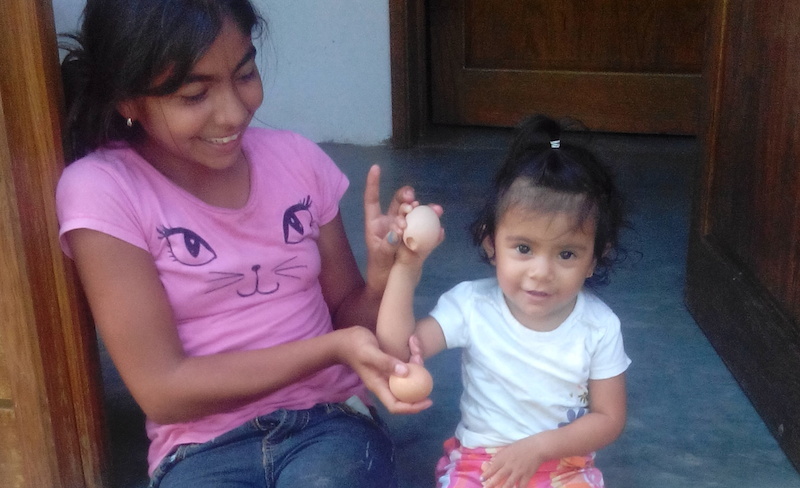 Our funding has been secured for another year, beginning October, 2017 to Sepyember, 2018 and it only covers the egg supply for up to 130 children. We will inform all our friends if there is a need for milk and or vitamins.